There continue to be a series of discussions about the changes to Higher Education funding. I attended the Universities UK meeting last week at which government ministers outlined some of the key changes and the issues the sector faces. There are clearly significant uncertainties especially about the extent to which the access regulator the Office for Fair Access (OFFA) will be able to ensure that universities charging more than £6,000 fees will be able to attract students from a wide range of backgrounds, something we have a very strong record in, leading to a diverse and balanced student body. We want to retain that balance and diversity whilst ensuring the long term sustainability of the institution and the ability to continue to invest in the student and staff experience. Striking that balance in setting a fee has been a recurring theme at the many meetings held to discuss the issue at the University. Staff and students have asked about the timetable for any decision on our fee level. I would stress that it will be very difficult to set a fee until we know the nature and costs of any access conditions agreed with OFFA. Those agreements will not be submitted until late-March and signed off by OFFA until July at the earliest. This does create a very difficult position for universities in that they cannot understand the full implications of setting a particular fee level until they know the costs of the access arrangements they will be required to put in place. It is an unsatisfactory but unavoidable position. I will of course keep staff updated on our progress. This has been a busy period for many of our students. The Students’ Union is currently organising elections for the next sabbatical team and I know they have been working hard to ensure a strong turnout. Good luck to all the candidates! The National Student Survey for our final year students is also underway. This is an important opportunity for students to reflect on their experiences and I hope we can achieve success in terms of both our response rate and the subsequent results of the survey. It provides a very helpful feedback to the University about student’s time here and I urge all staff to encourage students to respond. In late February the Alumni and Development Office began the second annual telethon raising money from our alumni for the Braduate Fund. Over 30 of our students have been trained to take part in the telethon which lasts around three weeks. We are confident that we will build on the success of last year, particularly after recently distributing money from the Fund to a range of student societies and activities, as well as providing hardship money for students in need. My thanks to all those students who are working hard on the phones most evenings and at weekends. 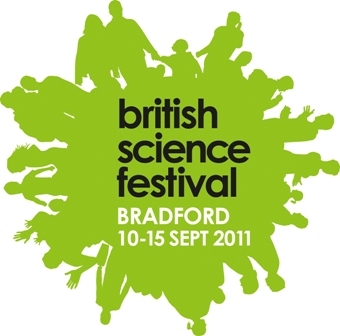 Work on the British Science Festival, taking place in Bradford from 10 to 15 September, is continuing apace and we have had a strong set of event proposals from our staff. I do hope as many of you as possible will be able to attend. It will provide an opportunity to showcase the range of work we do at the University and will be a high profile event for us. I am pleased that we have been able secure European monies to help support the costs of the event. The last time the festival was in Bradford was in 1875 and we’ve been able to unearth newspaper coverage from that period which gives a fascinating flavour of the event. On a similar historical theme it has been very interesting looking at the ‘100 Objects’ organised by our Special Collections Team in the Library. These provide an insight into the University itself (I liked the reference in the original founding charter of the University to the ‘public good’ role of what we should do) as well as reflections, through particular objects in the collection, on wider historical events. Finally can I thank all those staff and students who have worked hard to welcome applicants to the University. Our applicant numbers overall have risen by around 18 per cent compared to a national rise of around eight per cent. This is especially encouraging as we move into a rather different set of economic circumstances. Applicant visit days have been very busy and successful. I am sure that reflects the academic reputation of our courses and staff and the improved quality of the estate. Student Central has established a really good social and learning space and last week I managed to visit the new accommodation in The Green. Work there is on schedule and the finished rooms look excellent. It is great to see the real momentum across the University and to feel that we are in a strong position as we face some challenging years; my thanks to all for your hard work. The Automotive Research Centre, headed by Andrew Day, brings together a team of experts in the School of Engineering, Design, and Technology with over 20 years of knowledge, experience and industrial collaboration in mechanical and automotive engineering. During the last 12 months the centre has started two major industrial collaborations; a partnership with Cummins Turbo Technologies of Huddersfield, and a Technology Strategy Board funded consortium project led by Ford and Jaguar Land Rover with six other industry partners and two university partners. In addition knowledge transfer partnerships have started with BAE Systems and Jaguar Land Rover, who are also sponsoring a CASE PhD studentship. These projects include advanced turbocharger technology and design, CO2 reduction by emissions optimisation, high value manufacturing, and brake design, and have a combined grant value of £1.3m. Read more. Becka Colley, Dean of Students, has been awarded £10,000 as the National Teaching Fellowship winner by the Higher Education Academy. The shortlist for my Vice-Chancellor’s Excellence in Knowledge Transfer (KT) Award has been announced. Congratulations to the four shortlisted staff; Fin Caton-Rose, Paul Edwards, Des Tobin and Ben Whiteside. The award aims to reward and celebrate the exceptional contributions of individual staff to the University’s KT success. The shortlists for the other awards will be announced w/c 21 March and the winners will be announced at a celebratory event on the evening of 13 April. Nightingale Care Home, the largest Jewish care home in the UK, has partnered with the Bradford Dementia Group over the next two years to create a model and service design for older people living in care homes. The launch event for the partnership took place in London on 20 January and was a great success. Will Stewart, Peter Hughes, Peter Hopkinson and Sean Watson, Centre for Educational Development along with Neil Currant (external), have been awarded £19,500 from the Higher Education Academy/JISC for ‘Open Resources for the Inclusive Curriculum’. Vladimir Botchkarev, Centre for Skin Sciences, has secured a £233,722 research project with NIH/Boston University for ‘BMP Signalling in the control of skin development and hair growth’. Adrian Kelly and Tim Gough, Centre for Advanced Materials Engineering have secured a £40,000 project with a commercial company for a reactive extrusion project. Ben Whiteside, Centre for Polymer Micro and Nano Technology, has secured a £14,000 research project with the Centre for Low Carbon Futures for a low cost printed plastic luminescent solar concentrator. William Onzivu, Law School and Dr Obijiofor Aginam of the United Nations University, Tokyo, Japan, have been awarded 45,000 USD (£28,500) from the United Nations University’s Institute of Sustainability and Peace to implement a project, ‘Climate Change Diplomacy: Common But Differentiated Responsibility – Past Lessons, Challenges, and Future Directions for Small Island Developing States’. Tom Franks, Social and International Studies, is undertaking a project worth £121,180 for the China Development Bank.